Key Difference: Sales turnover and sales is quite similar in nature. Sales are the revenue that is earned by a company via sale of its product. Similarly, sales turnover is the amount of money that is earned by a company after selling its products/services. Accounting and finance are an important part of any business and understanding these terms are crucial to running a successful business. These terms can result in a lot of confusion and are often used interchangeably. These terms are actually quite similar in nature and in many contexts they can be used synonymously. However, the term turnover can also be used differently in other contexts. The term turnover can be used in three different contexts: Inventory, Labor and Sales. The broad definition of turnover is the ability of a company to run through an asset, including the ones that are given above. In terms of inventory, turnover refers to the ability of a company to run through their inventory of products. If a business keeps an inventory of 1000 items of their product, and they run through it three times, it means the company must produce a total of 3000 products to meet the demand of their consumers. Higher turnover in inventory is expected to yield higher profits, but it also depends on the cost of each product and other costs that a company incurs. Labor turnover refers to hiring and firing of employees in a given accounting period, i.e. a year. It is the amount of people that the company hires, lets go or who quit. Higher turnover in labor is considered as a costly expenditure to the company as they have to spend additional time training the employee. Hence, lower labor turnover results in higher profits. Sales turnover and sales is quite similar in nature. 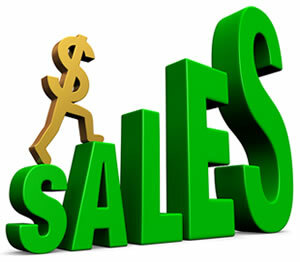 Sales are the revenue that is earned by a company via sale of its product. Similarly, sales turnover is the amount of money that is earned by a company after selling its products/services. Sales and turnover are calculated by multiplying the number of products sold with the price of the product that the customer will pay. So, if a company is selling a phone for USD 300 and they sell about 20 pieces, the sales would be USD 6000. However, this figure does not take into account the pieces that were returned, were given away for free or donated. So, if of the 20 pieces that were gone, 3 of them were donated, the figure would still remain the same. This is the gross sale. Net sales (one that is most commonly found on accounting statements) are basically the gross sales – discounts, returns and allowances.